Welcome to MRT.SG, find information you need to travel smoothly on Singapore's MRT and LRT subway rail systems. Click/tap the panels below to visit the pages. 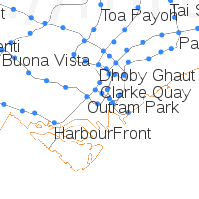 A scale-representative map of Singapore's MRT and LRT network lines and station locations. This map gives a good idea of the distances between train stations. 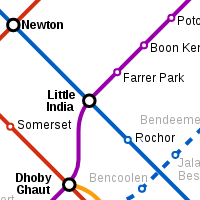 An idealised map of Singapore's MRT/LRT lines and stations. Placement of items are spaced out evenly for readability. Distances are not as representative of actual ground/track distances as the geographic map. A very lightweight(text-based) connectivity map of Singapore's MRT and LRT lines/stations. Organised vertically for ease of viewing and scrolling in mobile/small screens. Calculate fares and get estimated travel times between MRT/LRT stations. 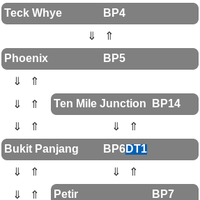 Find out which interchange stations to change lines with our recommended route directions between any two stations. Get news and updates on the MRT and LRT lines' situations and developments.